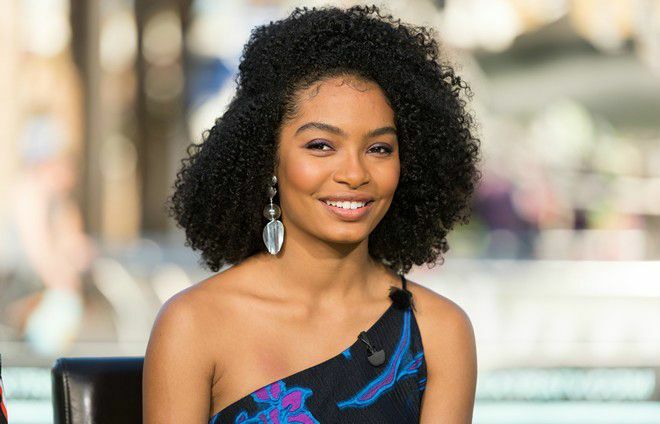 Yara Shahidi is an American actress and model who is most widely recognized for her starring role as Zoey Johnson on the sitcom Black-ish and its spin-off series Grown-ish. She played Chloe Johnson in the TV sitcom The First Family between 2012 and 2013. In films, she starred as Olivia Danielson alongside Eddie Murphy in Imagine That (2009) and had a small part in Angelina Jolie starred Salt (2010). She voiced Brenda in the 2018 animated adventure film, Smallfoot. Yara Shahidi was born on February 10, 2000, in Minneapolis, Minnesota, USA. She is currently 19 years old. Her ancestry is African-American and Iranian-American. In June 017, she announced that she is going to attend Harvard University. She is not dating anyone according to the media. It looks like she is focused on her studies as well as strengthening her career. Yara Shahidi made her screen debut playing Olivia Danielson in the 2009 comedy film Imagine That starring Eddie Murphy. For her work in the film, she gained a Young Artist Award nomination for the best performance in a feature film category. Her television debut came in 2007 when she was cast as Kandace West in an episode of Entourage, produced by HBO. The budding actress gained a lot of fame for starring in the ABC sitcom Black-ish (2014–present) and its spin-off series Grown-ish (2018–present). Having started her career as a child model, Yara Shahidi has appeared in a number of television commercials for McDonald’s, Disney, Ralph Lauren, Target, Gap Kids, Guess Kids, and Children’s Place. Yara has an estimated net worth of $1 million, according to the media. Her family moved to California due to her dad’s job when she was 4 years old. She holds a black belt in Korean martial art form, Tang Soo Do. She wanted to become a Historian, specializing in world history, while continuing to pursue her love of acting. In February 2017, Yara was awarded the “Generation Next Award” at the 10th annual Essence Black Women In Hollywood event. She is the second cousin to American rapper Nas. She learns the Persian language. Besides being a successful actor, Yara is also an activist. Her activism has been recognized by former first lady Michelle Obama, who wrote her a letter of recommendation to Harvard University. In 2017, Teen Vogue gave her an opportunity to interview Hillary Clinton.